Andrew Bolt hosts a political talk show, focusing on the pressing issues of the week, with special guests and his panel of experts. being true to his/her name, elmo muppet is a muppet. andrew bolt is a reporter who pulls no punches, calls it as it is, none of this political correctness nonsense. the reason it has a low rating is not because of the quality of reporting but because of the leftift gangs who roam twitter/facebook and other places on the internet abusing and belittling anyone who does not agree with their beliefs. 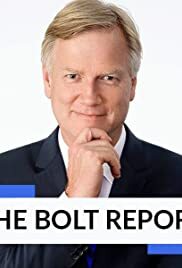 andrew bolt is no stranger to controversy, love him or hate him he still reports the facts and is not afraid to go against the leftist grain no matter how much rage is sent his way. i would suggest people watch this show. whether or not you agree with any views held by andrew bolt or people who go on his show, you will at least come out better informed.